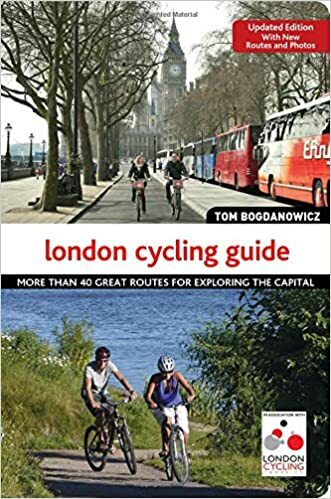 This classic route guide has just been updated with the help of LCC members and features several new rides including the QE Olympic Park and Royal Palaces and Castles. The original edition had rave reviews and the new one gets five stars as well. More than 40 routes are included with a special section on children’s rides. The detailed maps include all the bike hire stations, along with points of interest, route instructions and recommended refreshment stops. Now in its second year Fred the Magic Bicycle is a one of the very few books aimed at young children (0 -6 years old) featuring a bicycle. It tackles a tough subject – bicycle-theft – but the culprits get their due - little did they know that they had pinched a magic bicycle. A charming finely illustrated book that featured in the Bikekbiz festive books in 2015 and has been given the thumbs up by small children. Illustrated by the well-established illustrator of “To bed or else” and written by LCC’s Tom Bogdanowicz who says he could not find a children’s cycling story in bookshops so he wrote one. One third of book profits go to LCC. Don’t expect this scrapbook to be a book like any other – it is what it says on the cover: a scrapbook. Even the size is that of the old fashioned sixties scrapbooks (though quite a bit thicker) that designer Paul Smith might have owned in his youth. And it’s almost as much fun to flick through pages as it would be to create such a scrapbook yourself. 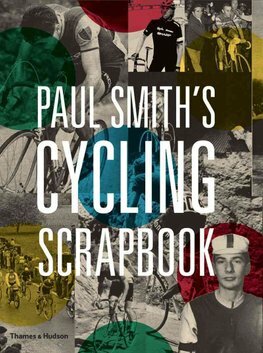 Indeed most of us will envy the extraordinary opportunity Paul Smith’s day job has given him to creating a scrapbook of images, cuttings, heroes, bicycles and bike jerseys that represent Smith’s several decades of fascination with professional cycling. The ‘scraps’ or paper have been bolstered and edited with the help of Richard Williams, former Guardian sports writer, but there is little doubt that all the topics, personal experiences and titbits come from Paul Smith himself. The collection of team jerseys (many autographed) is a labour of love that is a delight to peruse. His bicycle collection is equally fascinating and you end up wishing they had the space to gather a few more and that the pictures were bigger. Sponsored books obviously feature the sponsor but they can also draw on wide resources. Brooks have enlisted not only authors like Jack Thurston, Bella Bathurst and Dave Millar but also sourced some exceptional photographs (mostly of cycling) from the likes of Henri Cartier Bresson, Robert Capa, Helen Levitt and Martin Parr. This provides a visual treat enclosed in a cloth bound book that has the Brooks original three holes in the front cover. Perhaps surprisingly the book doesn’t just celebrate Brooks and cycling but has an illustrated chapter on British ingenuity featuring the toothbrush, the jet engine and many others.